Forget Marble Bar, Oodnadatta, doesn’t the BOM know the hottest day ever was in Albany? It’s summer, so the BoM and ABC can’t help themselves. Last week Marble Bar “hit an all time record”. This week, it’s Alice Springs. But the Australian BOM still haven’t used their own fabulous World Class ACORN Temperature data to find the hottest day ever in Australia. They’re still telling people it was in Oodnadatta, on Jan 2nd in 1960, but even dumb deniers know that according to ACORN temperatures hit 51.2C in Albany in far south WA in 1933. [Marble Bar Dec 28th, 2018] The high temperature occurred at 12:39 pm local time. At that stage, it appeared Marble Bar could crack 50 for the first time — and perhaps even threaten the all-time Australian record of 50.7 in Oodnadatta, South Australia. Chris Gillham pointed this out the strange anomaly of the cool coastal town that was hotter than a million square kilometers of desert, but four years later the BOM still haven’t resolved the situation. The 51.2C temperature is still there in the data, but the Top Ten Highest Temperature Records remain exactly the same. Is Albany, or is it not, the true record holder? Or is it that the ACORN adjustments are overwrought, unjustified fandangaling, that ignores 8 lane freeways, and brick walls and has errors so big they can be seen from space? These records not only ignore their own ACORN super high quality data, they also ignore measurements from Observatories too. In 1939 the Windsor Observatory recorded 122F or 50.5C. Even further back in 1909 the BOM had a Stevenson Screen at Bourke Post Office which recorded the monstrous 125F or 51.6C. But that record didn’t count because it was done on a Sunday. The big question, (apart from why the BoM is so incompetent), is why the hottest ever days in Australia all seemed to occur back when CO2 levels were perfect. This is even after the BOM accidentally boosted all the modern temperatures by switching to electronic thermometers. These accept one-second long heatwaves that no old style thermometer could possibly detect. Not surprisingly, electronic thermometers all over the country have set new records with every gust of a 737. Despite this huge advantage, the old temperatures are still beating out the new ones. As for the Alice Springs record of 45.6C yesterday, I note that Alice Springs Post Office in on Jan 14 1883 recorded a whole degree hotter, 46.7C. That’s 136 years of global warming for you. 145 comments to Forget Marble Bar, Oodnadatta, doesn’t the BOM know the hottest day ever was in Albany? George Orwell, ‘Notes on Nationalism’ (1945). Nothing much really changes. Groups like ISIS manage to recruit doctors and engineers into thier ranks, so education and intelligence are no guarantee of being safe from wilful stupidity. However, the “ordinary man” which I think you coumd say is a product of an average education and mainstream life, is also vulnerable to being decieved by the MSM. I think the trick is to be able to convey the message that CAGW is a huge porky in simple, hard to dispute terms. A rational human has to at some stage, when they realize the govt and its propaganda outlet the MSM have been lying to drove societal change for the worse, can only admit they have been devieved. Interestingly, many people I know who fit the last group description, are now waking up and realize they have been decieved. Its going to make a very interesting next 5 years….. The BOM can do and say what they want because they are ‘scientists’. You can’t argue against the ‘science’. Miscreants often hide in bunkers… does them no good….in this case its a bit of hubris mixed with the myth of believing thier own “CAGW priestly infallability” lie…. from The Microbe by Hillaire Belloc. 2004, Melbourne Herald-Sun: CLONCURRY has been stripped of its claim to the nation’s highest temperature days before it was to celebrate the day’s 115th anniversary. The 53.1C on January 16, 1889, had brought notoriety to the outback town. The weather bureau’s acting Queensland regional director, Geoff Crane, said the high was struck off the books because of the way it was recorded. A committee was examining all Australian extreme temperatures and a new national maximum would be announced in a few months. THE tiny Outback town of Oodnadatta is celebrating its new status as Australia’s hottest place. Oodnadatta has been left with the dubious honour after Cloncurry in Queensland was sensationally stripped of its long-held title this week. It follows a Bureau of Meteorology investigation into the authenticity of Cloncurry’s record 53.1C on January 16, 1889. “A decision to cancel Australia’s official hottest temperature reading because it was recorded in a beer crate has residents of a north-west Queensland town fuming. In Cloncurry on January 16, 1889, the temperature was recorded at 53.1 degrees Celsius in a beer crate just weeks before the arrival of an official measuring medium – a white box with side louvres, a Stevenson Screen. But the Bureau of Meteorology has decided the beer crate reading does not meet requirements for an official measure and the old record has been set aside. When I worked in and around the QLD/SA border, we used to have a basic lab-grade liquid filled thermometer hanging off a shaded rack of Hydrogen cylinders, so, not really in ideal measurement conditions… and we just did it for interest and entertainment. We knew the actual number (low to mid 50s mid-summer) was not likely to be the real temperature, but it was interesting to see that some days were indeed hotter than others by a couple of degrees. Mind you, after about 45degC, such changes aren’t really perceptible to us puny humans. Another record which has been disregarded is a 50.7C in Mildura on 7th Jan, 1906. I normally prefer gin to beer but on hot days a beer goes down really well after a day working outdoors. We can easily gauge how hot the summer has been by how much beer has been consumed. The most recent highest total was in Jan/Feb 2014. Have to agree beer just slips down well, but I was conditioned by working in Dampier (King Bar then) in the ’60′s when you got one beer (long neck Swan Lager) with lunch in the canteen and two with dinner. Those were the days my friend. You weren’t the guy who lined up the GM’s house with a D8 were you? Its funny how the record COLD is being ignored. < -50C in RUSSIA. Vostok – 80C! (CO2 freezes at -79C) last year! Plus plenty of snow in Arizona and New Mexico. Both in the country where Al Gorerythm said children would never see snow after 2014. What I’d like to know is what temperature was the second or third highest recorded the same day as the discarded records.If Cloncurry’s 53.1°C is less than a degree hotter than the second highest temp. that day that would add to its credibility. We know Pilliga and Brewarrina both recorded 123°f the same day Bourke recorded 125°f in 1909. Even these second highest temps are higher than the BOM’s so called record of Oodnadatta 1960! Seems to me that the only alternatives are that the nineteenth and twentieth century public servants were incompetent or the twentyfirst century ones are dishonest. One great way to make sure every year is the “hottest ever” is to move your station every few years and forget to mention that your records for that site only go back 10 years. They moved the Perth station in the early ’90′s from near King’s Park to suburban Mt. Lawley, where, on hot days, the Fremantle Doctor (the cool South Westerly breeze) arrives half an hour later in the afternoon, so always has a higher maximum then the old site. I’m still having trouble believing 49.5 , BOM are a joke . The Ministry of Truth strikes again. I discovered this down a memory hole. A Gleissberg Minimum is just around the corner, so I’m calling this a global cooling signal. What about the 1923/24 Marble Bar 160 day heatwave of tempersatures over 37.8C (100F)? On some days 47.5C was recorded. Supposedly the world’s longest heatwave. A decade ago there was an article about the German meteorologist who was worried about the switch in technologies. His worry was alignment, so he kept the two technologies running parallel for ten years. He found a +0.5C increase but in the article complained that no one at the German BOM bothered to align the two and adjust the new readings. So in the 1980s there was a switch over from liquid thermometers to electronic thyristors without any attempt to exactly match the two technologies. So +0.5C happened across the world over ten years. The scare was that this meant +5.0C over 100 years. Now we know that it is not true, we should be questioning the origin of the +0.5C. It could all be simple calibration. Man Made Global Warming is true. We made it up or let it happen. The question is why and the answer is just too obvious. I believe it was just over 8 years. Beyond that I wonder if the BoM calibrates it Digital thermometers. It is good, nay essential, practice for accuracy but judging from other things I still wonder. P.S. I have seen one result of 23.6℃ from a probe but that was reading a waterbath at 25℃. The qualified chemist continued to use the probe “because he was only doing comparative work”. He then returned to compare them with previous recorded results. The question is not which set is right, but what you do about differences. Say the new thermometers are more accurate in an absolute sense, more linear and preferable. It is possible that the older thermometers over 100 years were in error by say 0.5C. It would hardly matter in 1909 plus they were visually read, which introduces issues like reading accuracy and distortion by glass and accuracy of manufacture. So I would expect that meteorologists would switch to the new technology and accept the differences as being part of history. This is exactly what has happened. This would create a discontinuity of 0.5C over the switch over period from analog to digital around the mid 1980s to the mid 1990s. The period would make it look like plausible but rapid natural warming because of the decade taken to update all instruments. Now we have a question. If you have an instrument change, how do you account for old data to establish warming in the 20th century. The simple answer? Do nothing and then all instruments agree, the 1980s was a period of sudden global warming and that suits the story. I note also that when James Hansen presented to Congress, he did so on June 23nd 1988, the Summer Solstice. He opened the high windows early in the morning to defeat the air conditioning the audience would be sympathetic to his sweaty testimony. What part of this was theatre, what part science and what part pure manipulation? There was no mention of the switch from analog to digital measurement. Hansen’s predictions in 1988 were laughable in 2009. Now they are ridiculous. Now that the predictions have all failed repeatedly, it would be worthwhile to review how much the sudden warming was real and how much was shenanigans. Calibration just means the thermometers are accurate — it doesn’t mean they are equivalent to temps recorded with Liquid-in-glass thermometers. Our Australian BOM knows what the difference is, or they should. They have run side by side thermometers for years. They tell us they matched them, but they won’t release the data. Bill Johnston did an FOI and they admitted they throw away that data. It’s an absolute scandal. Climate Data Is Being Destroyed. The Bureau have a budget of a million dollars a day, but seemingly can’t afford an extra memory stick to save historic scientific data. In the mid 1990s thermometers changed right across Australia — new electronic sensors were installed nearly everywhere. Known as automatic weather sensors (AWS) these are quite different to the old “liquid in glass” type. The electronic ones can pick up very short bursts of heat – so they can measure extremes of temperatures that the old mercury or liquid thermometers would not pick up, unless the spike of heat lasted for a few minutes. It is difficult (impossible) to believe that across the whole temperature range that these two different instruments would always behave in the exact same way. There could easily be an artificial warming trend generated by this change (see the step change in the graphs). The only way to compare the old and new types of thermometer is to run side by side comparisons in the field and at many sites. Which is exactly what the bureau were doing, but the data has never been put in an archive, or has been destroyed. It’s not easily available (or possibly “at all”). We have this in writing after an FOI application by Dr Bill Johnston (see below). These measurements from past years can never be re-recorded. A four-terabyte external hard drive costs a couple of hundred dollars and would probably store a whole years worth of text files. For just 0.02% of their budget they could buy one every day. Why, why, why wouldn’t a scientist who cared about the climate want to save this information? To highlight the sensitivity that the ETs have, I have a screenshot that shows a difference of 0.7C within the same minute. I have heard that some countries average the temps over seven or ten minute periods. That would make it more consistent with the mercury thermometers. I recall a number of 0.9 C increase from Mercury in glass to Platinum resistor. Both need to be calibrated to a known source – the LiG AND the thermistor. Great care is needed to get this right – it’s not just a single point, as both types suffer from manufacturing tolerances which can affect both the offset and linearity of the sensor. So you need to check at somewhere below the lowest you expect, somewhere above the highest you expect and several points in between. A perfect device would match the reference at both minimum and maximum, and a graph of all the calibration points (real on X axis, measured on Y axis) should be a straight line at exactly 45 degrees. Of course, most require an offset at least, and most display a curve that is a “tilted S”. Unless the device has a compensation curve built-in, any linearity corrections require on-going calculation. Of course, such calibrations would typically be required at 3-12 month intervals, depending on requirements – each such device should have a signed and dated sticker specifying the company and employee that calibrated the equipment, and there should be a paper trail allowing for a full audit of compliance for each piece of equipment used – not just the actual sensor, but every single bit of gear used in the calibration. Should go all the way back in completely auditable form to the “master” reference. Now, all this sounds like a lot just to tell you how hot it was yesterday, however in cases where people are asked to hand over money (and CAGW is certainly one! ), this is the law for pretty much everything – electricity metering, petrol delivery, fruit and veg weights, the lot. So the question is: if CC is so very important and we are spending billions of dollars on it, why is it that a 1kg bag of spuds is more tracably weighed than the temperature is measured? How does that work? Are you related to Bob Down? and believing anything said via the media is absurd. today I heard the radio bang on about the possibility of ‘extreeems’ in Victoria’s north-west and how records may be set. Some ‘authority’ voices over and says ‘well, we dont have many measurement stations there but it is possible that exreeems may occur. All over the radio…all day…today. Just think about how stupid the average person is … then consider that 50% of people are more stupid that that. This is interesting. Do you have any link to that article ? Sounds like your records have been and are being adjusted to the point of meaninglessness as well. Dave, the problem for the BOM ( Bureau of Meaninglessness ) is that the more it does this, the bigger laughing stock it may become. As we integrate along a line of reasoning, with the boundary conditions of truth approavhing zero, we see the outcome with a large hole in the middle of it….which is an anomoly. Some people think this hole is where proper science used to be…. ‘this hole is where proper science used to be….’ that why they believe in ‘black holes’ which by definition have to contain infinite density in zero volume, physically impossible. 1. Being the first I’ve heard of Albany, I had a look on Google Earth. There is the regular Albany, and then 4 miles up — in the middle of a field — is Albany again. Likely your BOM hasn’t figured this out either, but I do live much farther away, in WA, where that stands for Washington State, USA. 2. I’m reading a book about the American Dust Bowl. The high temp and date you mention — 51.2C in Albany in far south WA in 1933 was a terrible time in the center of the ‘dust bowl’. ~ ~ ~ Happy New Year ! World temperatures stuck on a high plateau. That’s an extremely interesting graph. There appears to my eye to be a semi-regular double peak – a pulse, if you will. To me, there should have been on over 2002-2007, but instead, it’s flat. If this matches a change in sign of trend, it would be interesting to see if this was visible at other trend change points. Alas, we have no more of that data (yet). One thing is certain, ENSO rules. Sea surface temperatures anomaly off WA is interesting. Been that way for many months EG, and very similar to the last two summers. The cooler water was a lot bigger a few months ago. Another cloudy day in Perth today, something that we only saw after a very hot day. Now we are seeing lots of cloudy days. The Leeuwin Current is cooler in summer and the IOD is neutral, which maybe a couple of factors in the SST anomaly. Ian Wilson may have the key. And 46 in Uluru, NT. Melbourne for most of this summer and last, 23C. Tomorrow, Friday the 42 will vanish within hours, as usual. It only happens on a direct Northerly which is the tail end of a high pressure anticyclone and followed usually by a huge change with the leading edge of low pressure cyclonic winds. A cold Southerly, dropping temperatures 10-20C in half an hour. The landscape and gardens in Melbourne are also very green, unusually green after very good rains, even floods. It rained in Dubbo when Prince Harry went to visit the drought stricken area. It rained on News Years eve in Sydney, drenching many. We have just had a week of massive rains along the East coast. Still we are told it was one of the driest years. So while the media tell us we are having a scorching summer, it is not true here. The Australian front page showed people at the beach at Noosa escaping the terrible heat at 30.5C. Now that might be a real heat wave in London, but it is only comfortably hot for Australia. Pleasant for a day at the beach. I also wonder whether the (new?) ‘National’ temperature is a measure of anything meaningful. For example as most people live in the few big cities, half in the three cities of Melbourne, Sydney and Brisbane/Coolangatta, the average people experience is quite different to the average across a continent with a population density like Siberia. The BOM has a number of choices when announcing 2018 as the ‘third hottest yes’. For whom? The IPCC? 19 out of 26 million Australians live in the East Coast States of Queensland, NSW, Victoria, Tasmania. Still we are told ‘Australia’ is hotter. Why? It is the globalization of Australia. Then we have to worry about the ‘Global’ temperature, which clearly includes Greenland, Antarctica, Siberia and Tierra Del Fuego. We have to worry about sea ice in the Arctic. The state of ice in parts of Antarctica. Polar bear populations in the Arctic circle and Caribou in vast remote areas of Canada. The temperature at Marble Bar. You get the distinct impression in this Globalization of worries that there is a clear direction to worry everyone about things which never mattered before and potentially do not matter at all. So I will get back to suffering our heat wave in Melbourne, a searing 28C today. Lovely. Also then 42, 22, 22, 24, 27,23 with scattered showers. Spot the heat wave! Inland Australia is usually hotter than coastal areas….I remember as a kid growing up ( 1980s ) in the NSW riverina area over night temps for 2 weeks in a row used to average 30C, during the day closer to 40C. I think if you had that now, all the Leftist snowflakes wouldn’t cope….and ( gasp! ) they may have a power blackout which means *no mobile phone charging*…..how will they cope? We’ve become soft…..raising a generation of leftist brainwashed snowflakes…. Rain has been very scarce around Newcastle despite the big storms a few weeks ago. For myself, I’m happy not to have to mow so often but farmers a little way inland need more and local wildlife has gone: looking for water. Interesting, but the paper didn’t mention that the screens were originally “painted” with whitewash. Now they are painted with white plastic paint, and this could also contribute to different readings. It does mention them being painted white as part of the original stipulations on page 7 of the paper however those are the only two mentions of the words “painted” and “white”. There are a few references on the web looking at effect of paint composition on internal Stevenson Screen temps. I haven’t had a chance to study them in detail yet. The BOM have been at this temperature adjustment process for some time. The result is a narrative totally in lock-step with the UN-NGOs global campaign of AGW, as shown in the leaked Climategate emails. It is so obvious that all the records set in the Federation Drought of 1896-1903 have been carefully removed. 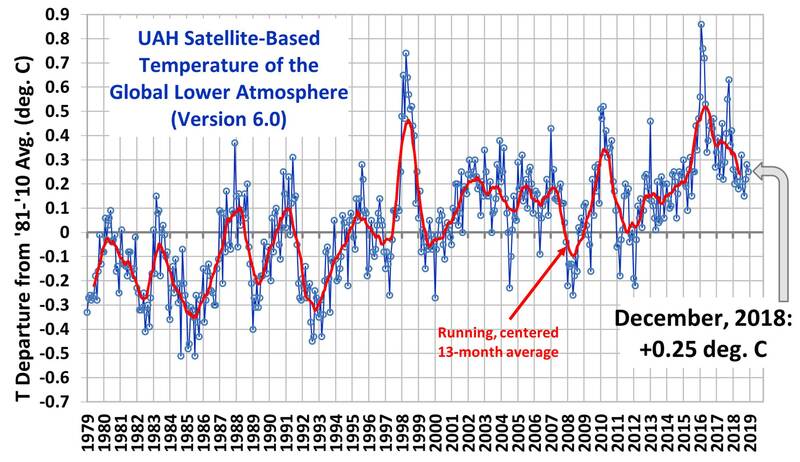 This has been accomplished by 1/excluding most records before ca 1910 because of “quality control” issues; 2/ adjusting down temperatures in the early decades of the ACORN-Sat temperature series in current use; and 3/ moving to electronic temperature stations with continuous one second readings, rather that the previous time-averaged readings. The result of all of this is a false series of ‘records’. The BOM also still refuse to publish any comparative records or studies that show that adding electronic temperature readings to the existing temperature record was valid. What is needed is a full, independent review of the BOM’s activities and who has influenced their ‘scientific’ method. If necessary, action needs to be taken against any public servant who has misused public funds, or destroyed public data. But dont expect the current government, or especially Frydenberg, to do anything about this scandal. They are too deeply invested in this charade as the basis for the whole renewables subsidy structure, and the recent doubling of Australian domestic electricity prices. Rotten all the way down. Have the BoM been destroying the original paper records? If so, surely this is illegal and a violation of the Archives Act? Or perhaps not? Have a look at their record disposal practices and decide for yourself. It’s not 100% clear which category the daily temperature measurements fall into. If it’s the Observation Data Base (ODB), then this data can be destroyed after 7 years. If my assumption is correct, then surely that’s very wrong. If you control the past, you can control the future…..
Stalin ( and Lenin ) were very good at re-writing history books…. …and if you control the presten, then you control the past. and if you control the press tent, then you control the past. ?? exactly what I said…bloody fat fingers. Mate of mine is a Journo. all ‘post-truth’ and great march forward. Its also illegal under the Public Service Act (Cwth). So you are saying we don’t need an audit of BoM or a Royal Commission into this whole AGW charade ? Audits are good. As President Reagan said “Trust, but verify”. Mistakes can be made in a lot of ways and in both directions. For example, that record for Albany, it could have been mistyped, or it could have been a mistake when the records were uploaded. If a neighbouring site did not corroborate, then a mistake is most likely. Mind you stations were few and far between then so supporting data might not be available. If you have doubts on some of the records then you might as well expand it into a full audit, by an independent body. Good, what about a Royal Commission into desalination plants? Audits are not just good, but essential in almost every field except climate science. So why does the BOM fear one so much they threw out their entire HQ dataset in 2012 and started again with “ACORN” to avoid an audit by the ANAO which Cory Bernardi and a team of skeptics (myself included) were asking for? Then having created ACORN the media stories broke about bizarre anomalies, and cooling trends that were adjusted to warming trends. At that point suddenly there were calls for an investigation and yet again the BOM sidestepped it with help from Greg Hunt. They offered to do a “statistical” technical committee with experts they hand-picked themselves, asking questions which they chose themselves and took all of one afternoon to report nothing much. But they did admit that no one outside the BOM could replicate their homogenization and adjustments, proving that they don’t do science but work like a medieval guild. Why do they delete their raw data from the side-by-side experiments (with liquid thermometers near electronic ones)? Why do they throw out raw data from the original records? If they are so concerned about our climate, why do they show no interest in using the 1800s temperatures, some of which were recorded in stevenson screens. Just toss it out of our national trends which all start in 1910. Got any links to back your claims Peter? ACORN stations are supposed to be the best 100 in Australia. They are used to calculate “area” weighted averages. Do we know for sure the hot day in Albany isn’t used in any calculation? And if so, when was the announcement they had revised the set, or changed it? And if they did correct Albany, what mistake in their algorithm caused it? Did that mistake affect any other data? What if a clumsy computer algorithm wrecked lots of data and the ridiculous Albany result was just the obvious tip of the berg? The inventor of the Stevenson screen, Thomas Stevenson (1818-1887) was father of the author Robert Louis Stevenson. And Scotsman Robert Louis Stevenson was very frail and had terrible lungs so he lived ultimately in Samoa on his Royalties from tales for children. Tragically the heat and humidity did not save him, as he died at 44 suddenly from a cerebral haemorrhage. His house is a tourist attraction in Samoa. A lot of frail people and people with lung problems were sent to Australia for the hot, dry air. Now apparently it is a curse. How did it come to this? Temperature anomalies don’t kill people, absolute temperatures kill people. Sign my petition, to ban absolute temperatures !!! We are better off, without them. My latest article, shows just how evil absolute temperatures really are. They are not quite as evil as CO2, but CO2 has been quietly increasing absolute temperatures, while everybody has been busy looking at temperature anomalies. Where else can you see 10.0 and 15.0 degrees Celsius of global warming? Using a single number to represent global warming, like 1.5 or 2.0 degrees Celsius of global warming, makes it hard to see how bad the problem really is. Is 2.0 degrees Celsius of global warming a major change from what we have now, or is it a minor change? Using temperature anomalies to represent global warming, removes (or ignores) what is “normal” for temperatures. “Normal”, becomes a single temperature anomaly, 0.0 degrees Celsius. Does 0.0 degrees Celsius, really represent the “normal” temperature distribution of the Earth. What is the solution to this problem? The answer is to look at temperature distributions, rather than single numbers. Temperature distributions make global warming multi-dimensional, rather than a one-dimensional number. Temperature distributions show how the temperature varies with latitude, elevation, proximity to the ocean, size of the landmass, UHI (urban heat island effect), and many other factors. Comparing the “normal” temperature distribution, to a “global warming” temperature distribution, makes it easier to judge the size of the problem. Are “alarmists” trying to turn a molehill into a mountain? Or are “deniers” trying to turn a mountain into a molehill? This article will show you the temperature distributions for a range of global warming “amounts”. People with weak hearts should not look at the more extreme amounts of global warming. Seeing 10.0 or 15.0 degrees Celsius of global warming on a graph, may be too much for those with a vivid imagination. This article offers a choice of global warming simulations. Marble Bar is near coral reefs, but no coal mines and Green conservation group offices, so apparently there is no bleaching, or any bleaching that matters. The actual “Bar” is a rock bar outside of town, and it’s not marble. Sid Meier’s Civilisation VI goes full Paris. From the Wikipedia about the upcoming major update release for the computer game Civ VI. The frequency of these events is affected by a new climate system. Late game buildings can have their effectiveness improved by providing them with the new Power resource, which can be obtained by burning resources such as coal and oil. However, doing so will increase CO2 levels in the atmosphere, increasing the frequency of disasters. Players will also be able to research green power alternatives such as solar, wind and geothermal power stations. Remember back in the day when the worse you could expect from a Civ game was an unprovoked nuclear attack from Gandhi? O/T but are there any plans to extinguish the underground coal fire or purchase carbon offsets for the fire that has been burning at Burning Mountain, NSW, Australia for the past 6000 years? It is the world’s oldest burning fire and must be responsible for lots of CO2 emissions. Or is it just too far away from the Big Cities for your average Latte Sipping Green to know or care about? More to the point are there any plans to protest against the building the many hundreds of new Chinese, Indian and Japanese coal fired power stations? Or are the alarmists here just so brain dead they turn a blind eye and only ever want to close down ours to crash and burn our economy? When are we going to treat the alarmists here as terrorists? Well, the japanese have started whaling again, so that should make the greenies heads explode…. they would same the same about us, intent on global destruction because we let the world do what it has been doing for millenia. Evil, pure evil. Its moving south at one metre per year and this is of concern, but not catastrophic, we’ll go with the offsets. Looking at BOM graphs of remote Australian locations with a long history, I can’t see much warming at all. I didn’t cherry pick these, just searched for remote stations with a long history (most are very patchy incomplete data records). Makes me wonder if they are adjusting the data for Urban Heat Island properly. RickWill pointed some out originally and the ones I found seem to agree. Adjusting for the Urban Heat Island properly? They don’t even believe it exists given the placement of the sensors. Let’s face it, if you wanted to measure the temperature inside your car while you are driving you don’t place the thermometer next to the engine. Yes, UHI should be one biggest factors in data homogenization and it would decrease any warming trend. But we get their homogenization substantially increasing the warming trend – seems odd. Jeff are these the same locations you posted in your comments on Geoff Sherrington’s major article in WUWT before Xmas ? Bill, yes I did put some of them on WUWT. I wouldn’t mind if someone had constructive criticism about my view on these no warming these charts. though I don’t think that applies to my remote locations. Yes I think the issue of Urban Heat Islands wherever humans build cities is a key one in this whole debate. They occasionally advertise for volunteers to man the island. I was even thinking of applying myself once. One of the duties is taking weather station readings. Anyway I looked up the BOM chart. No surprise, very little warming at all. Forget “rolling coal.” A new trend called “ICE-ing,” in which pickup truck owners purposefully block electric vehicle charging stations, appears to be gaining ground around the country. It joins the similar practice of “rolling coal,” in which people modify diesel engines to spew black clouds of soot. It’s used as a way of protesting environmental regulations. The political affiliations of the pickup truck drivers are unknown. But Hickory is located in Caldwell County, where 74.1 percent of residents backed President Trump in the 2016 election. Nine states and several cities have enacted laws prohibiting gasoline- and diesel-powered vehicles from parking in front of EV charging stations, including Arizona, California, Florida, Hawaii, Illinois, Massachusetts, Oregon, Rhode Island and Washington. ***Yes, the video is staged by Tesla Trip’s Patrick Lawson and his sister—but that doesn’t mean they made it easy on themselves. They went out to an empty Supercharger station in Loveland, Colorado and engaged the truck’s emergency brakes as a way to simulate what it would be like if someone had parked their truck in anger and refused to move. In the video, it looks pretty dang simple. The 2,315kg Chevy Silverado doesn’t stand a chance. The message is clear: Don’t mess with Tesla. Well, Ghandi realized they couldn’t imprison everyone who protests…..and won….. If you put grit down on the ground ( it looks icy ) the truck would have more grip…or put a tank of water in the back. Are the charging stations private property or owned by the local govt authority? There is an EV charging station not far from here. I have never seen ANYTHING parked at the charging ports. Ah…but thats maybe because such a place is “sacred” ground in the green religion? I wonder who owns the actual ground the charging stations are on – the local county, or Tesla themselves? I wonder if you park a puckup on it thats not a Tesla, is that tresspassing? Soneone must know…..
That said, they can tow as many vehicles as they like, the whole EV thing is now a toxic issue…they have lost the PR war and are being taken to task by ticked off normal people who are challenging the green religion…. But an EV is a ray if hope, a symbol of “salvation” and as such is deeply revered within the green religion….and we plebs are supposed to genflect before the altar to greenism…. I think i’ d die of laughter before i bent my knee to greenism…. I’m more likely to die of anger at the wrecking of the environment and the devastating effect on ordinary people’s lives by the pseudo-religion of the green cult and all those who allow the greenie tail to wag the dogs of governments, UN, NGO’s, etc. etc. ad nauseum and beyond. Sorry for the Bernard Levin/St Paul-type length of a single sentence taking the space of a short paragraph. I always stop at them because they are so conveniently placed. Think disabled spot level of convenience. And there’s never an electric car at them; I think there’s only one electric car in all of Canberra. That’s nearly as many as the number of bikes you see in bike lanes! I would refer Tesla owners to a few Monster Truck videos before they attempt anything like this , especially if its a rock crawler. How about a monster truck crushing a Tesla? I can recall one very hot day on the Nullarbor when the temperature hit 100F at 8am and 120F (48.9) at 10am. Went a few degrees beyond this before the storm hit. This was an official reading taken at a Stevenson Screen by the Met office guys. In any case, was a lot warmer than this in the buildings where I worked – took a 128F (53.3C) maximum thermometer into one of the cooler buildings one hot day and it shot straight to the top. Can only guess at the actual temps in these buildings on very hot days, but think it was around 60C. This map, based on the officially recorded maximum temperatures throughout New South Wales on Wednesday, can be taken as typical of any day during the last fortnight. The heavily shaded portion shows the large proportion of the State that experienced temperatures exceeding 110 degrees. The registration of 124 degrees at White Cliffs was the highest recorded in New South Wales since the record for the State, 125 degrees, was made at Bourke in 1909. Bathers hoping to cool off with a coastal swim in recent days might have got more than they’d bargained for, with inshore water temperatures well below average for mid-summer Sydney. Temperatures at Bondi have been just 16.5-17 degrees for the past few days, said Bruce Hopkins, head lifeguard at the city’s most popular beach. That’s well shy of the average for this time of year for Sydney’s beaches of about 23 degrees, according to Beachwatch NSW. “Severe” cold will grip the country this week putting the elderly, sick and very young at risk, according to Government health advisers. The PHE warning states: “Prolonged periods of cold weather can be dangerous, especially for the very young, very old or those with chronic diseases. An SSW (Sudden Stratospheric Warming) event was responsible for triggering the extreme cold which virtually ground Britain to a standstill at the start of last year. Climatologist Judah Cohen from the US AES (Atmospheric and Environmental Research) said temperature rises of up to ***80C over the North Pole threaten to drive the strongest SSW ever recorded. He said: “NASA Model [s] [are] predicting close to all time record warmth at the North Pole in the stratosphere. I have seen swings of 80 degrees F in winter without getting above water freezing before, though. Several years ago a low of -90 degrees F was reported on a job site. I wasn’t on that job, but I have worked in -40 temperatures plenty of times. After about 15 minutes ones hands quit working and you have to go warm them up. The warm up is painful. Everybody had ice cicles hanging off their eye brows and eye lashes and beards. There is a saying here in winter: “Clear as bell means cold as ____!” About four years a homeless man froze to death under a viaduct. Once he was identified it turned out he was worth 19 million and his family had been searching for him for several months. Don’t ask me? ITALY is set to be hit by two Arctic blasts in the next week as temperatures plummet at the start of the New Year. By Katie Harris; Additional reporting by Maria Ortega. (Met Office meteorologist Aidan McGivern) said: “At the moment the jet stream that often brings us unsettled weather is riding well to the north of the UK that is where the unsettled weather is going. And BBC Weather warned Europe could face “significant” and “disruptive” snow as a powerful system sweeps across the continent. It comes as the UK is set to have a freezing January with the possibility of snow. “SA 50.7 2 January 1960″, An inconvenient truth.. The whole reason for the ‘globul warmung’ ‘klimate change’ scam is to control YOU not the climate. Caribou recorded the eighth coolest October since 1929 when officials began gathering such data, and the coolest since 2009, according to the weather service. Houlton experienced its third coolest October overall, with a temperature of 10 degrees registered on Oct. 27, which smashed the previous low of 16 degrees for that date set in 1936. That temperature also was the lowest observed since October 1978 and it tied for the all-time lowest temperature observed since weather records began in 1948. The low of 16 degrees at Caribou was the lowest temperature observed anywhere in the contiguous U.S. that morning. November experienced an unusually early onset of winter conditions beginning around Nov. 10. Temperatures averaged from 3.5 degrees to 5.5 degrees below average. The total snowfall for the three months ended at 32.8 inches at Caribou, which ranked as the third snowiest autumn on record behind only 1949 and 1974. At Bangor, a total of 15.9 inches of snow was observed, which made it the tenth snowiest fall on record. ***Environmentalists warn the sudden change in the weather could have a severe impact on plants, animals and birds – and have urged households to leave out seeds, fat balls and water for birds, and cat food for hedgehogs. A RARE triple-vortex Polar blast threatens to thrust a plume of sub-zero air across Britain locking the nation into Arctic misery until spring. In the last few days climate experts say three separate vortices have formed over the Arctic region bringing a greater risk of heavy snow and prolonged cold weather. Climatologist Judah Cohen from US-based Atmospheric and Environmental Research (AER) tweeted: “The first … forecast of 2019 is also the first to start really showing the impacts of the #PolarVortex split on our weather especially across Europe. Polar Vortex is a term now in vogue to explain normal winter weather in the post global warming era, so people won’t think the alarmists haven’t been full of bovine processed alfalfa all along. BBC WEATHER has warned Europe is set to be hit by “significant” and “disruptive” snow as a powerful system sweeps across the continent. Here’s AGL’s NSW Generation plan: Liddell replacement is AGL’s preferred option compared to proposal to extend life of Liddell. Jo I think you do the BOM a bit of an injustice. Why do I think this ? Well all the data that you used to show up the BOM’s failings is BOM data. I am right now studying the climate of part of the part of Adelaide Hills where I live. I am using rainfall and temperature data from 1861 up to the present to do this. The temperature data when the modern day ‘Urban Heat Effect’ was removed, showed a 0.5 degree increase in the mean maximum temperature over 157 years. The rainfall records are also interesting though I have not yet completed analysing to establish if there are any patterns. More maybe on that later. But none of this would be possible with the BOM having accumulated all this data and allowing free access to it. For that the BOM deserves our thanks. PS : I’m sure other Australians here could do the same for their own districts or regions. And that would also be a service to the whole debate. Why ? Because most of the worry about possible “Climate change” is a ‘nervousness’ about where folks live. How confident are you that you are looking at real data vs adjusted data based on (insert theory here)? I would need to be able to answer that before thanking anyone. If you look here you will see an outline of what BOM does with temperature records at some sites. But according to BOM only 112 of them treated in this way. These are the ACORN sat list. And Mt Barker is not one of the ACORN Sat. Ironically the BOM’s explanation of the adjustment process is to account for the Urban Heat Island effect. It discusses Kerang in Victoria. Interesting. We learn new things every day. After watching the video below I would not trust BOM one iota because I have not seen any evidence to show they didn’t carry out a similar “adjustment” to historical data. After all they are on the same page when it comes to the CAGW scam. Scorching 26C here on the NSW Mid North Coast today, and nature’s cooler blowing as it mostly does, a sea breeze. Do not become complacent. 28 degrees is ‘catastrophic’ these days. I would like to respectfully submit a new record for VIC. On the day of the Black Saturday bushfires in 2009 I took a picture of the outside temperature gauge on my wifes Subaru, sitting on a gravel drive in Ferntree Gully VIC. It read 55C. I figure its as least as accurate as anything the BOM does. There was a BoM representative on ABC24 this morning warning us about Melbourne’s impending ‘heatwave’. One day of 42C, since when has one warm day become a heatwave? Back in around 1996 we had eight days of 36~38, that was a heatwave, I remember having to put ice in my fish tank to keep it under 30C. last night 9NEWS advised that 42C will be our hottest day since 2014 and if it gets above 42.2C it will be the hottest since 2009. In the 70′s thru 90′s you could expect a few days around 44C every summer, nobody called it a heatwave. Melbourne, Jan 1908 – 5 consecutive days of +40C and a 39.9C. Now that’s a heatwave. Also, hottest Jan on record at a max mean of 31.0C. I remember that one in 98 Some American visitors from a Alabama out here on business abandoned a 4 star hotel because the A/C could not keep up. That with less CO2, temps. were higher. Going on another big trip next year and will be taking photos of every Stevenson screen in the towns we visit , some will be acorn sat others will be neighbours. Even Sky News Channel parrots the BoM media releases. How misleading their propaganda is. Here is an interesting read, but no surprises to most of the good people in this site. Then we have the IPCC telling the TRUTH for a change..
the mercury and it’s change in temperature of in a “old style thermometer” was a more realistic average at any point of time of the temperature. As you point out. The main point from this, is that modern measuring methods can now capture “instantaneous” high temperatures that were not captured in the past. So if one were to modify the raw temperature data, it should in reality be slewed to show higher temperatures in the past, to give a more realistic view temperature comparison. But “they” do the exact opposite! “They”, turn that which isn’t even a mole hill into a mountain… Cui bono? The fundamental problem here Jack is that BOM should have undertaken a series of comparative studies of the two temperature measurement methods before the electronic AWS thermometers were introduced. That is the scientific method. Despite a series of requests for comparable data, including requests to the relevant Minister, none has been forthcoming. Its possible BOM have done the work, but if they have, they wont release it to the public so non-BOM scientists can see what the conclusions are. And then there are the comments about the original raw measurement data having been deleted. Unfortunately with the BOM, when behaviour like this is encountered, its usually to cover up something. In the absence of a properly conducted and reviewed study, all of the current “one second” records are simply not scientifically valid, and should not be accepted by the public. Probably the more fundamental problem is pervayors of persuasion know the public (the masses) are not swayed by facts, figures, logic or reason; but by feelings and emotions. A picture of a Polar bear on an iceberg will win over far more people than a spread sheet full of numbers. Faith over reason has become the (anti-intellectual) epistemological standard of today’s world. Mildura 7 January 1906 50.7 degrees, on BOM website. By any chance was the thermometer at Albany hanging on the wall of the pub when it burnt down. Looks like a typical 10 day summer run in Newcastle, 100 to 107 °F, when after coming home from the beach, on foot, all a kid could do was lay down and look at the ceiling. The good old days, the fifties. No car, no T.V. no air conditioning. As a Meteorologist who grew up as a weather nerd in Albany WA, I looked at the Acorn temps for Albany. They are extremely dodgy before the move to the Airport. The 51 deg C temp when looked at with surrounding temps in close by towns is way too warm and in fact the whole record during that period is consistently too warm by 2-4 deg C. This will be why the BOM has ignored it. From what I gather the weather station used to be located at the old post office above the railway station which over looks the port. Then it was moved to the new post office in the main street but this is very urbanized. I think it was on the roof. Now it resides out in the middle of a field next to the Airport but about 80m higher in elevation. I have personally experienced 46 deg C on I think Jan 6 1969 or there abouts. To get this type of temperature here you have to have a very specific weather pattern. One where easterly winds track all the way across central Australia and then turn south over WA and blow offshore in Albany and this has to happen for several days. On that day all the eucalypt trees lost their outer leaves as they were dried out. When swimming you were dry before you got to your beach towel due to the hairdryer hot wind. The wind has to be strong enough to fend of sea breezes because Albany has a unique situation on the coast where it it has cool ocean directly to the east, to the south and to the west. It is a favourite holiday destination in summer for the inland farming community to get away from the summer heat due to the regular sea breezes. On this occasion looking at the data the BOM is quite right to reject the 51 deg C Albany temp record. However, more interesting to me is that temp I experienced and was recorded at the more reliable Airport station has not to my knowledge been beaten yet we have apparently seen nearly a degree of global warming and regular BOM warmest ever warnings in recent times. Luck perhaps…or not.